As an experienced professional who has helped many Sellers get their homes SOLD, I know how to handle every aspect of the sales process - from strategically marketing and showcasing your home to negotiating and making sure everything's signed, sealed and delivered by the closing date. 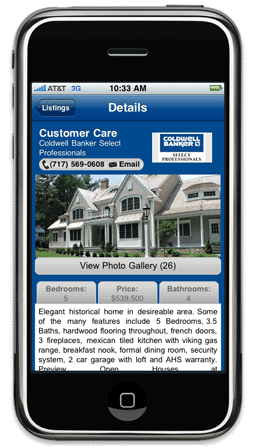 Coldwell Banker is On All Smartphones - Capturing and Driving More Buyers To YOUR Home To Get It SOLD!! !